Call of Duty: Modern Warfare Remastered is also getting three new guns, which can be earned by completing bounties. (Players can earn bounties by completing collections of other items, either by crafting them with Parts, the game’s version of scrap metal, or by receiving the items in Supply Drops.) Modern Warfare Remastered Supply Drops can be purchased using Depot Points — which are earned through playtime — or Call of Duty Points, which players can purchase with real money. This is a fully-automatic, 12-gauge shotgun of Russian origin, and features an 8-round detachable box magazine. This fully automatic assault rifle comes from the European theater, and utilizes 7.62x51mm NATO cartridges in a 30-round detachable box. This is the classic .44 Magnum six-round revolver, featuring a stylized military grip and signature long barrel. 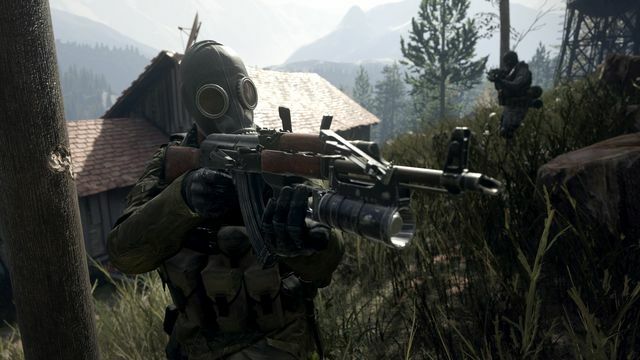 The developer said that it looked closely at gameplay balance in introducing new guns to Modern Warfare’s multiplayer mode. Call of Duty players have known that new weapons were in the works for Modern Warfare Remastered since November, when data miners unearthed guns that weren’t originally part of the game’s multiplayer mode.